Imprivata acquires Caradigm’s identity and access management business for an unspecified amount. Caradigm, a GE Healthcare company, has been in the process of streamlining operations for several years now. It announced workforce reductions in April, and August 2016. Welcome to new HIStalk Platinum Sponsor WiserTogether. The Washington, DC-based company’s treatment guidance platform improves outcomes and satisfaction while lowering cost. People and populations use its Return to Health solution to select the most appropriate and effective personalized treatment option in sharing decision-making with their provider. Condition, symptom, and demographic information is assessed against clinical efficacy and guideline content, treatment costs, provider ratings data, and time-to-recovery guidelines to present treatment options labeled as Poor, Good, and Best. Nearly 90 percent of users choose effective treatments, reducing the use of ineffective tests and treatments by 25 percent in creating a 400-900 percent ROI. The company just announced enhancements that include analytics and reporting that allows healthcare organizations to understand how patients make treatment decisions and which options they are likely to choose. Thanks to WiserTogether for supporting HIStalk. I came across this video describing how patients can use WiserTogether’s Return to Health tool to find evidence-based treatments that are cost effective. Here is the recording from today’s webinar with ZappRx on improving care and saving time with streamlined specialty drug prescribing. Select Medical Holdings will combine its Concentra occupational and urgent care company with California-based Dignity Health’s US HealthWorks subsidiary as part of an expanding partnership that includes the joint development of a 60-bed hospital and operation of 12 outpatient clinics in Las Vegas. Life insurance company John Hancock dangles $25 Apple Watches to lure customers into its Vitality health and wellness program. Members who exercise regularly for two years will avoid having to pay off the typically $300 device in installments. Nuance points the legal finger at MModal, alleging in a lawsuit that MModal products violate patents pertaining to transcription, speech recognition, and computer-assisted physician documentation technology. The lawsuit comes four months after Nuance suffered a malware attack on its cloud-based services that led to a $15 million loss in Q3. Newton, MA-based Devoted Health raises $62 million, bringing its total to $69 since launching earlier this year. Company founders Ed and Todd Park (brothers of Athenahealth fame, among other illustrious health IT roles) plan to offer concierge-style Medicare Advantage plans beginning in 2019 that will incorporate house calls and virtual visits. Amazon receives 238 bids from 54 states, provinces, and territories all vying to attract the company’s second headquarters. Amazon plans to invest $5 billion in the new facility, which will employ 50,000. Given its recent interest in health IT, it will be interesting to see if “Amazon HQ2” lands in a health IT-heavy town. As one would expect, city officials have dangled tax breaks and other incentives in front of the world’s largest online retailer. 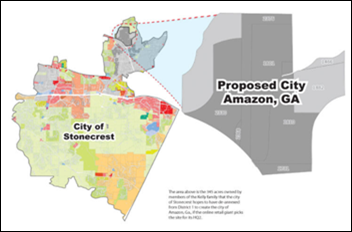 Outside of Atlanta, City of Stonecrest Mayor Jason Lary has promised to develop the city of Amazon and appoint Jeff Bezos as its lifelong mayor. Reuters reports that Siemens has enlisted three banks to lead the organization of an early-summer IPO for its Healthineers unit. 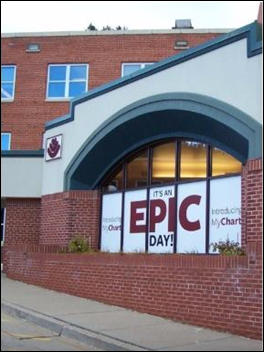 Regional Health (SD) goes live on Epic over the weekend. 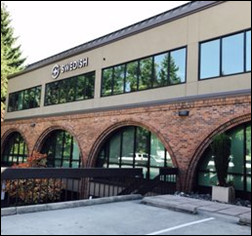 Swedish Bellevue Primary Care (WA) becomes the fourth Swedish location to roll out Versus Technology’s real-time locating system. Definitive Healthcare adds retail clinics and assisted living facilities to its market research database of providers. 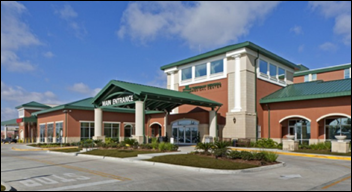 Thibodaux Regional Medical Center (LA) implements electronic signatures and forms technology from Access. Tom Visotsky (HCS) joins Kno2 as VP of vertical market sales. Cancer informatics company Inspirata names Josh Mann (Mann Consulting & Ventures) VP of its Cancer Information Data Trust Program. Vikram Natarajan (Medfusion) joins SPH Analytics as SVP of development and IT. Tenet Healthcare names Executive Chairman Ronald Rittenmeyer interim CEO. He takes over from Trevor Fetter, who announced his resignation in August after a two decade career at the Dallas-based health system. Tenet has been exploring strategic options recently, including the potential sale of parts of the company, and has been in the public eye over disagreements with investors over strategy, takeover rumors, and board-level resignations. Medecision debuts new care management apps related to population analytics, EHRs, financial performance, risk scoring, and care coordination. The company will launch apps for care engagement and operational efficiencies later this year. A federal court dismisses CliniComp’s August lawsuit against the VA, which alleged that the administration had improperly issued Cerner a no-bid contract for a VistA replacement. CliniComp CEO Chris Haudenschild has vowed to appeal, adding that the company “simply wants the chance to prove that it can do the job cheaper, faster, and better.” The company’s systems are used in several VA hospitals. The COPD Foundation, Geisinger (PA), GSK, and Jvion embark on a project that will identify COPD patients at risk of hospitalization and/or readmissions. Funded by GSK, the two-phased project will pair the foundation and Geisinger’s clinical expertise with Jvion’s AI-based patient risk stratification technology. Black Book survey-takers rank Navicure as the top RCM technology vendor, with Experian, Patientco, Change Healthcare, InstaMed, and NThrive also scoring high for end-user satisfaction. The New Yorker digs into the pharma moguls of the Sackler family (apparently known more for their philanthropy than to the development of OxyContin) and their ties to the rise of pharmaceutical advertising, which some physicians feel account for the lion’s share of today’s opioid epidemic. 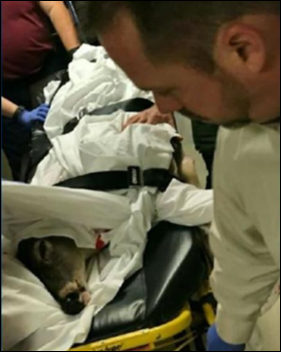 This is a breach of a different kind: Saline Memorial Hospital staff receive an unexpected (and no doubt unruly) visitor when a deer crashes into its courtyard, prompting Arkansas Game and Fish to come and remove the animal. Carevive wins the 2017 Cerner Emerging Partner of the Year Award. Centrak will exhibit at LeadingAge October 29-November 1 in New Orleans. CoverMyMeds will exhibit at the CBI Electronic Benefit Verification and Prior Authorization Summit October 24-25 in San Francisco. Dimensional Insight will exhibit at the Hospital Quality Institute November 1-3 in Monterey, CA. EClinicalWorks will exhibit at the Connected Health Conference October 26-27 in Boston. FormFast, HealthCast, Impact Advisors, InterSystems, and Intelligent Medical Objects will exhibit at the CHIME CIO Fall Forum October 31-November 3 in San Antonio. Healthwise will exhibit at the HealthTrio 2017 Users Group Conference October 25-27 in Tucson. Iatric Systems will exhibit at the HCCA Regional Conference October 27 in Chicago. AdvancedMD, Clinical Architecture, and CompuGroup Medical join CommonWell.